The holidays are coming! I was in Michael’s last night to pick up yarn for a baby blanket I am crocheting for my great-niece, and their stock of Christmas decorations is already bigger than their Halloween and Thanksgiving displays. Cranberries have been on my mind, and I want to share this delicious recipe with you. 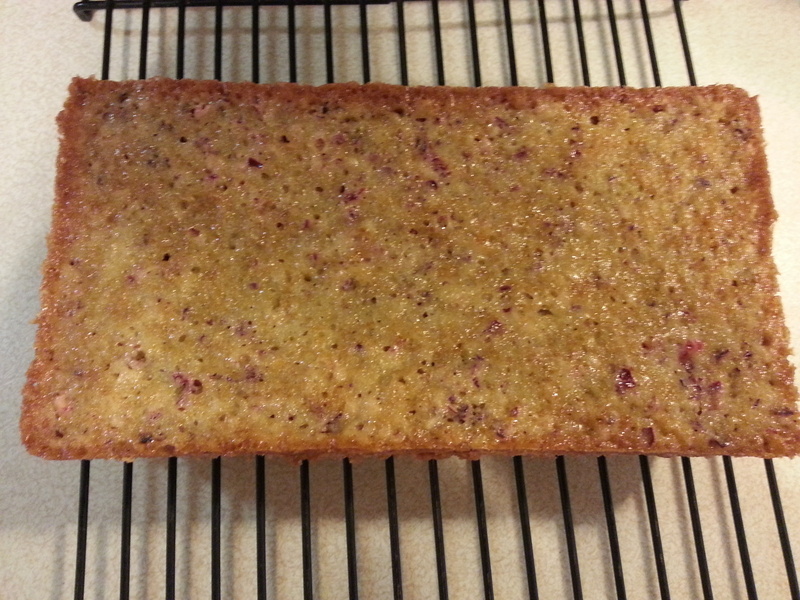 My husband told me about Cranberry Orange Bread, which his mother used to make for Christmas morning. This recipe is close to the one she used to make; she died in 2003, and we didn’t find a recipe. I searched online, and made adjustments to a couple that I found. It’s a very wet batter, and the resulting bread is very soft and moist. I’ve made it using cranberry-orange relish, and it’s delicious! My husband’s family has nut issues, so I always skip the walnuts, but I think they’d be a delightful addition. NOTE: Optional – Substitute 2 1/4 C Cranberry-Orange Relish for chopped cranberries, orange zest, and orange pieces. Sift the dry ingredients together into a large bowl. In a separate bowl, combine the wet ingredients. Make a well in the dry ingredients and pour in the liquids. Mix only to moisten. Fold in the remaining ingredients. Spoon into a greased and floured 9x5x3 loaf pan; spread out evenly. Bake at 350 degrees for 50-60 minutes. Remove immediately and cool on a rack.